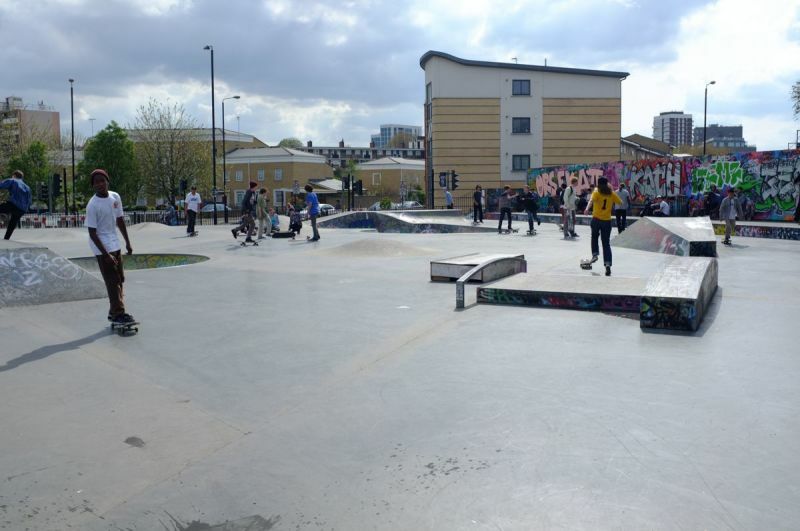 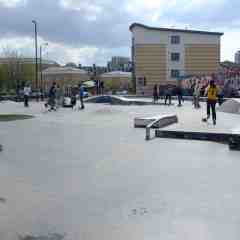 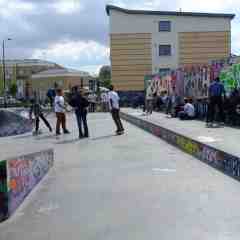 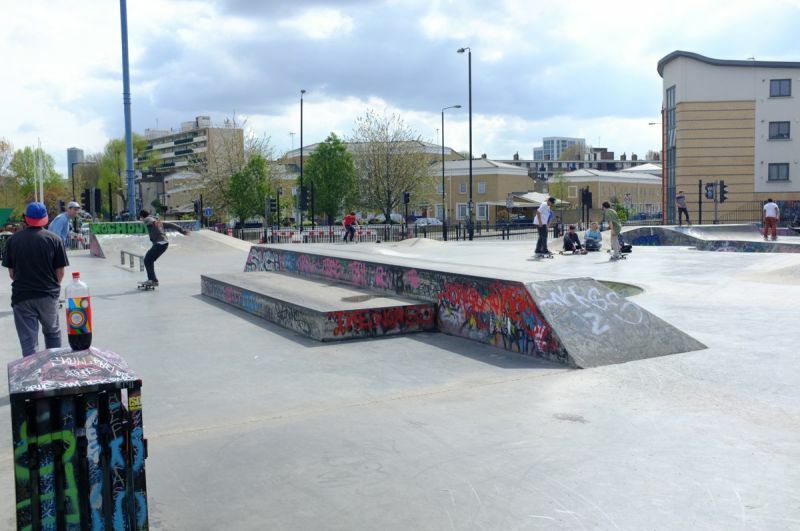 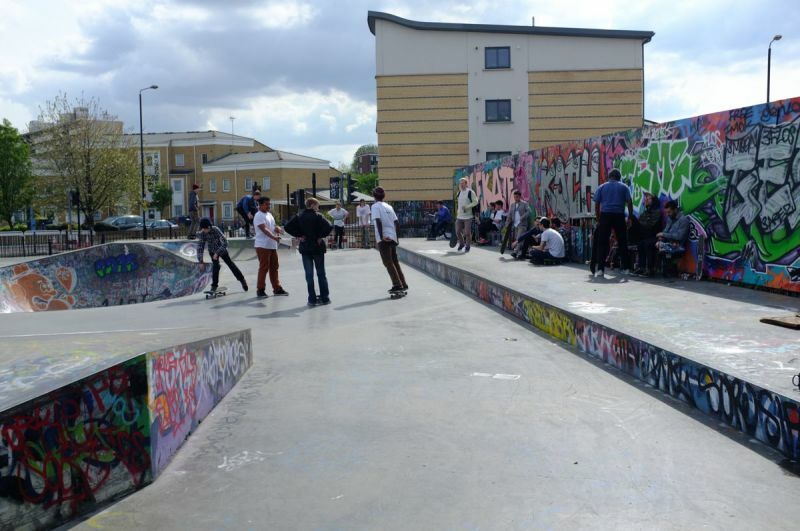 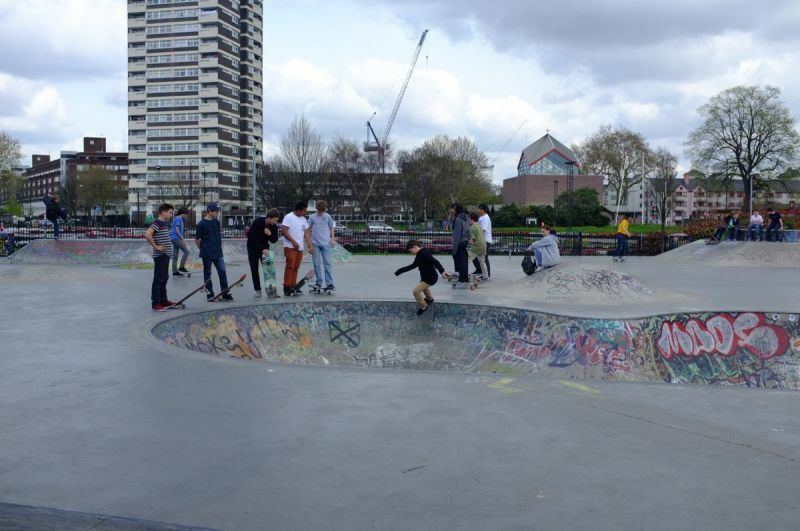 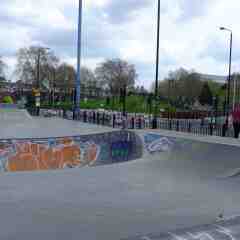 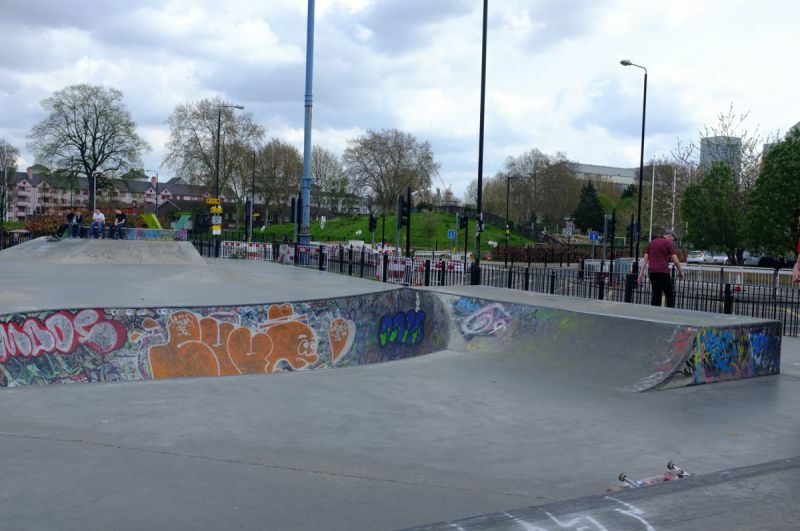 Mile End is a heavily street orientated skatepark, although there is a small swimming pool style bowl and wooden mini ramp indoors. 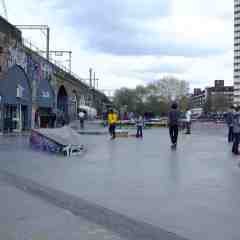 It has several ledges spread out around the park, lots of flat land areas, manual pads and a nice hip with a ledge on top. 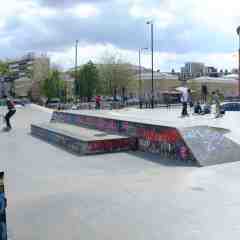 It's very much a good park to train your street skills up. 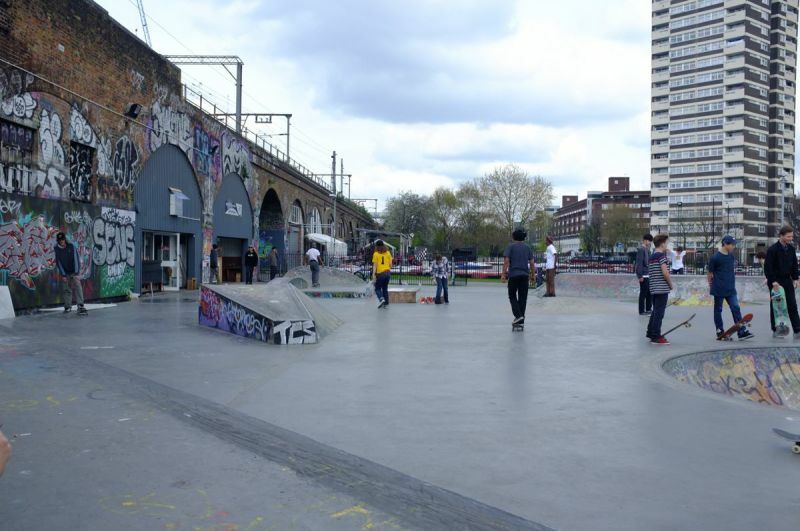 There is also a small skateshop selling hardware and drinks, then a small indoor section with a couple of mini ramps and a big flat bank.